Size from 7 1/2" to 11" L.
Solid hardwood vehicles with non-marring rubber tires with steel axles. 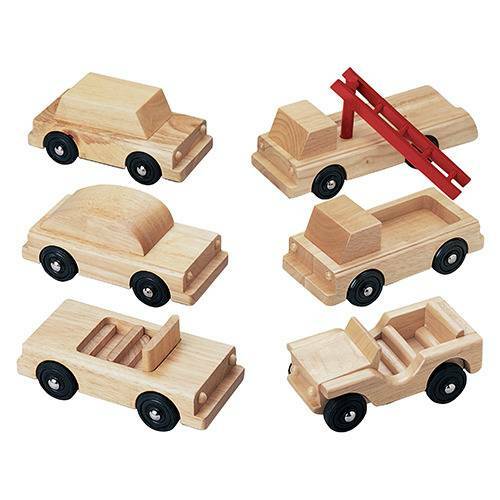 Set includes sedan, station wagon, convertible, fire truck, pickup and jeep. Size from 7 ½" to 11" L. Set of 6. Ages 2 yrs. +.